What great sunsets to be enjoyed on this 10th floor private balcony overlooking the Gulf of Mexico! 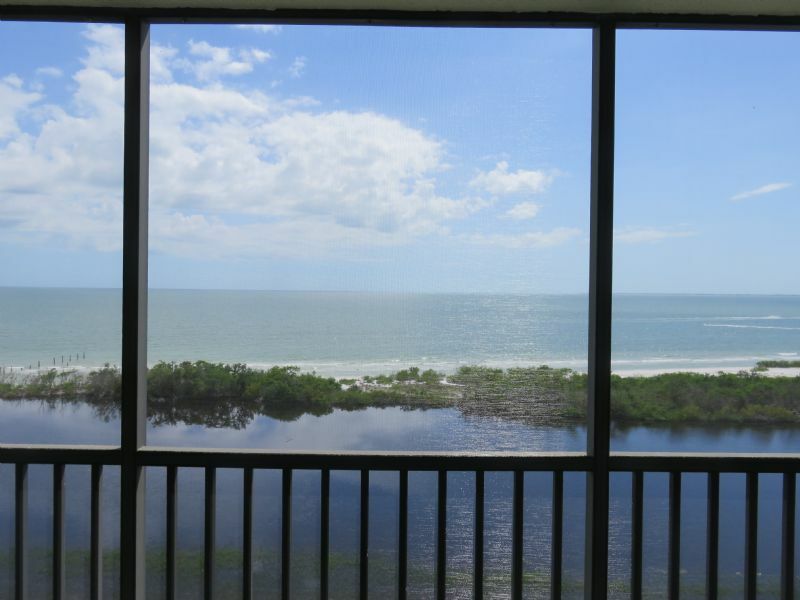 This Ft Myers Beach condominium is decorated in the tropical Tommy Bahama style furniture! Tv's in both bedrooms as well as in the living area. Enjoy the separate balcony off the master bedroom! Very relaxing! Both bedrooms are setup with a queen sized bed. Check out the amenities which include heated pool, shuffle board and tennis. STR REG. 19-0434.